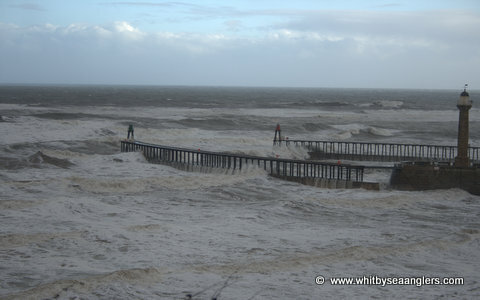 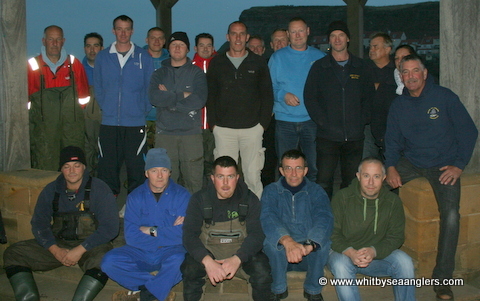 Members of Whitby Sea Anglers Association gather for a group photograph. 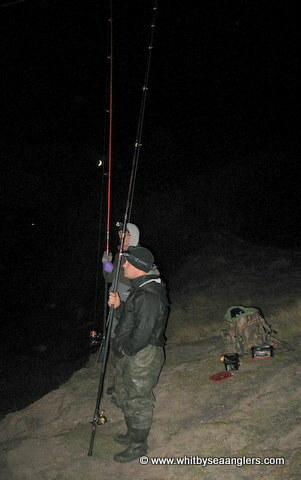 At the back left to right. 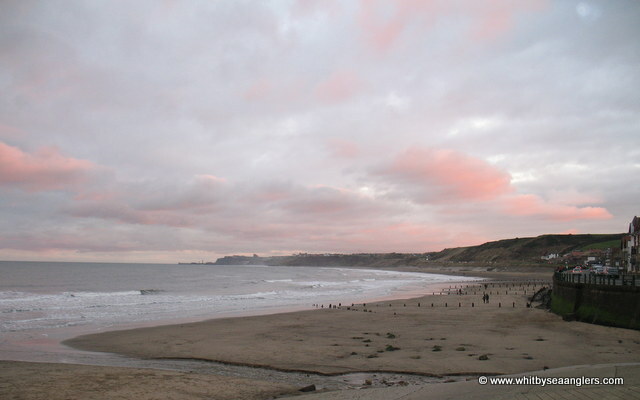 Colin Stainthorpe, Paul Short, Peter Horbury, Malcolm Pitman, Dave Perrett, Mrs Paula Pitman & James Moore. 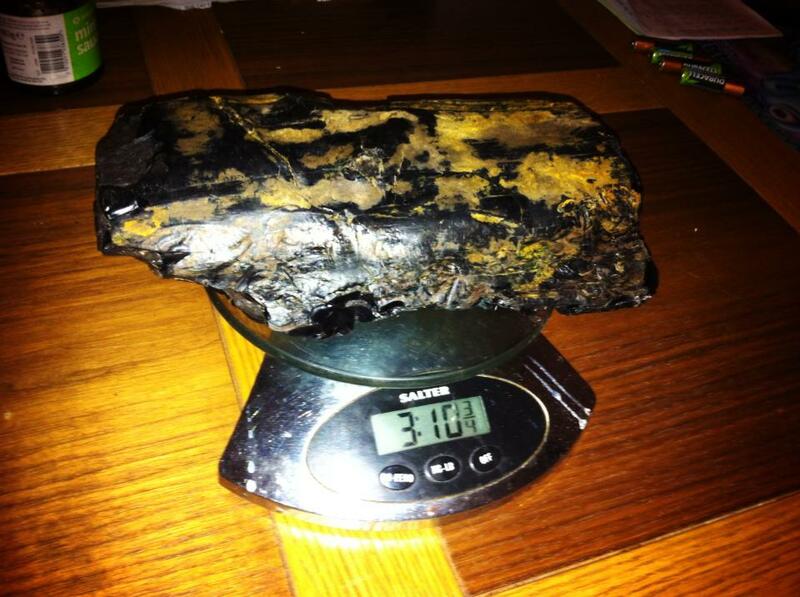 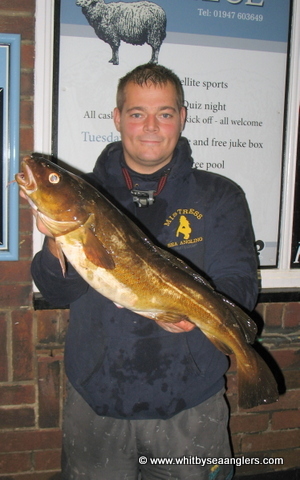 R Cope - 5 lb 14½ oz Sunday 13th October 2013. 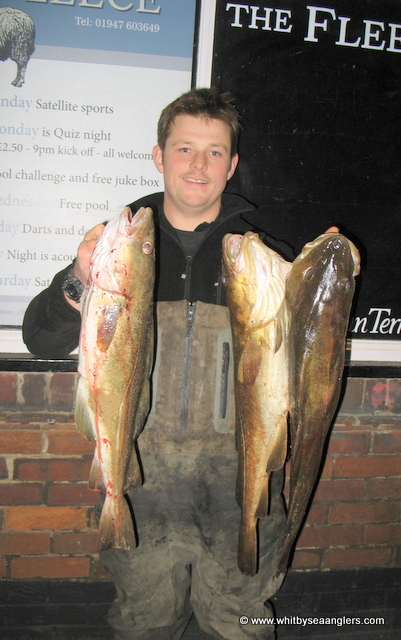 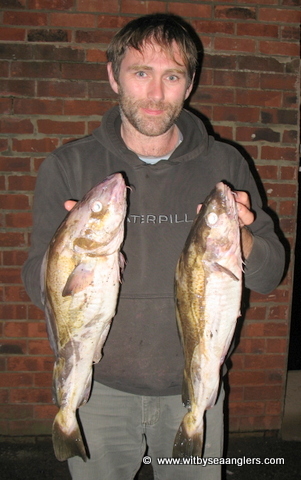 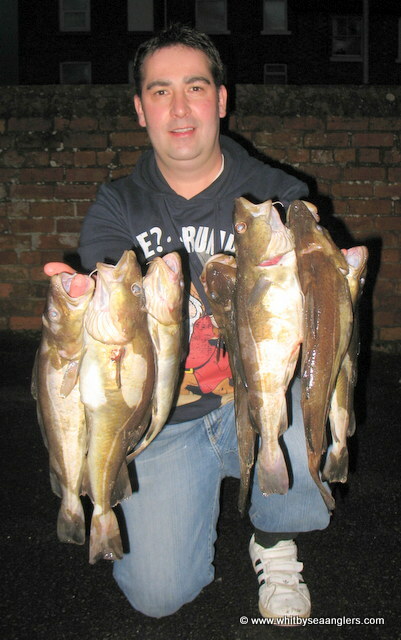 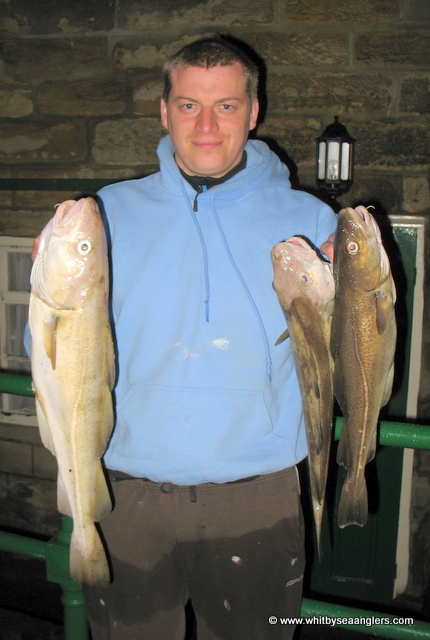 Rob Allison with 2 of his 10 codlings for 20 lb 15 oz. 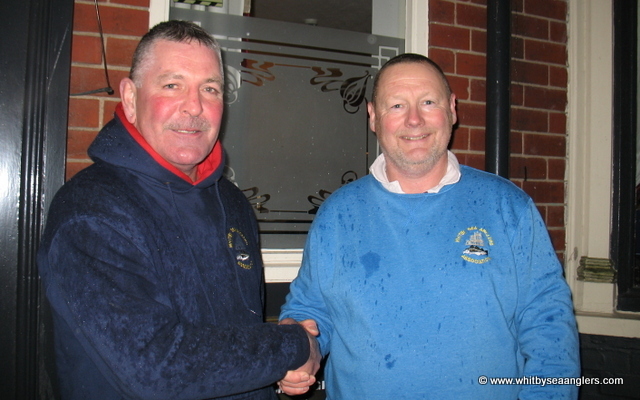 Left - Rob Allison, winner of the 1st Royal Marines Association Charity Open. 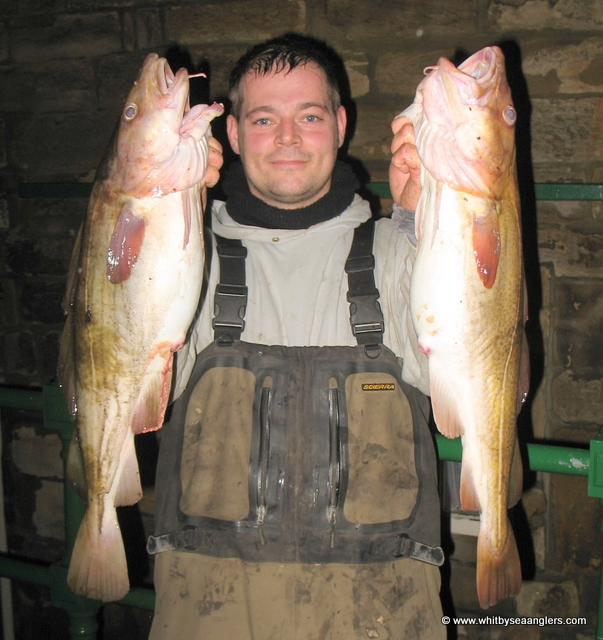 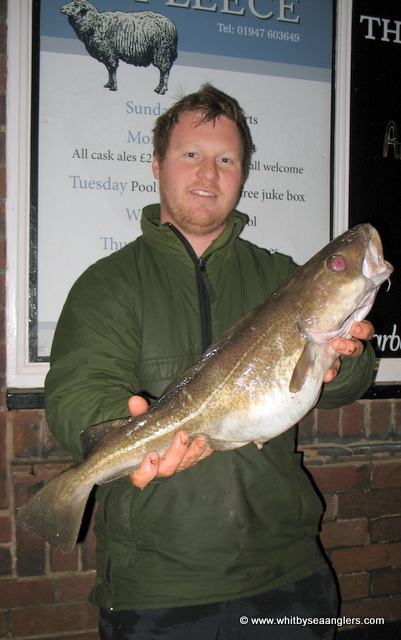 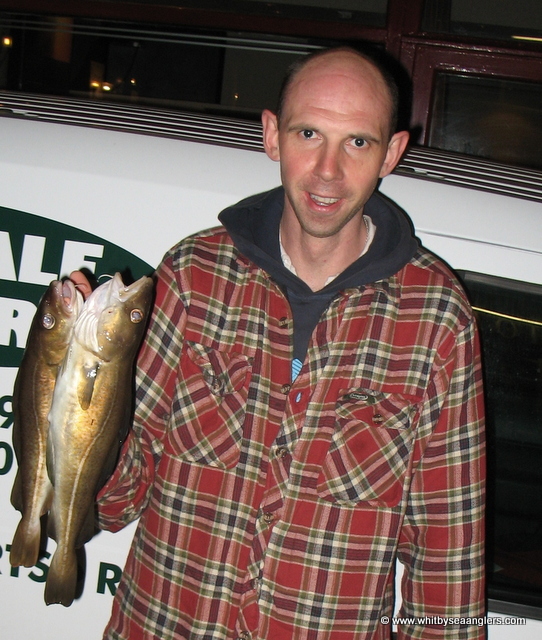 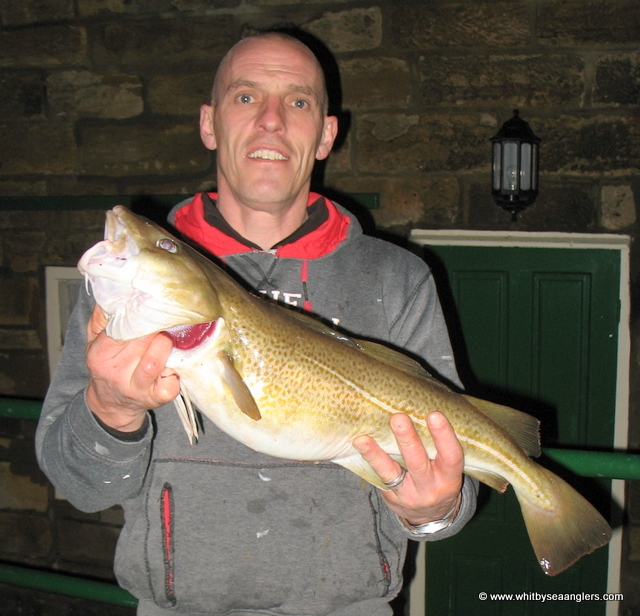 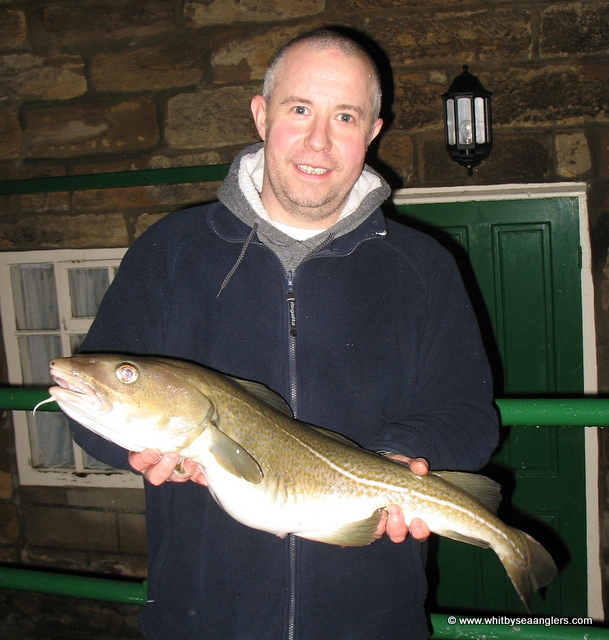 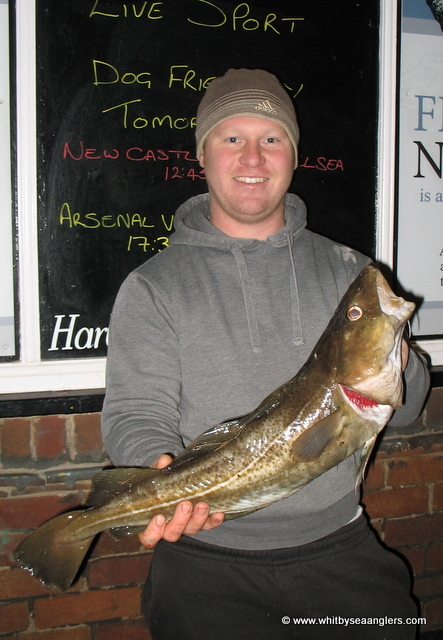 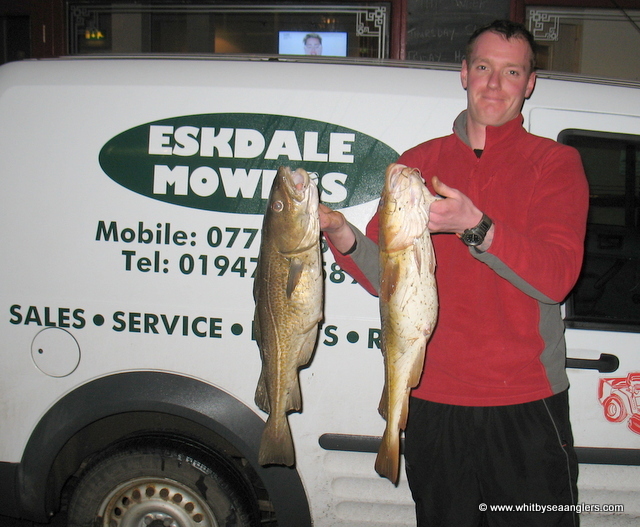 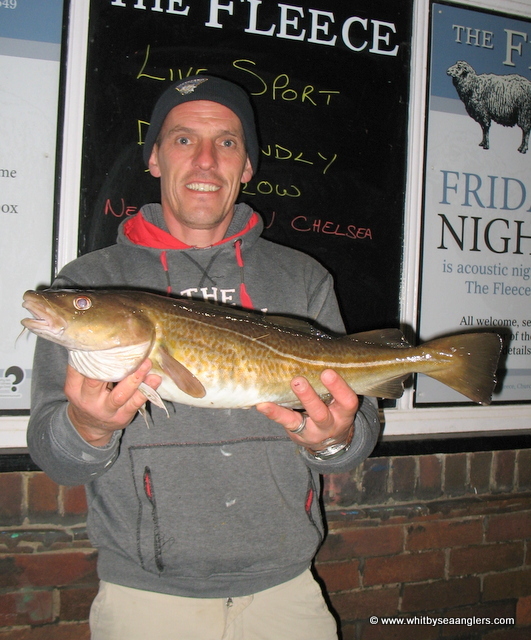 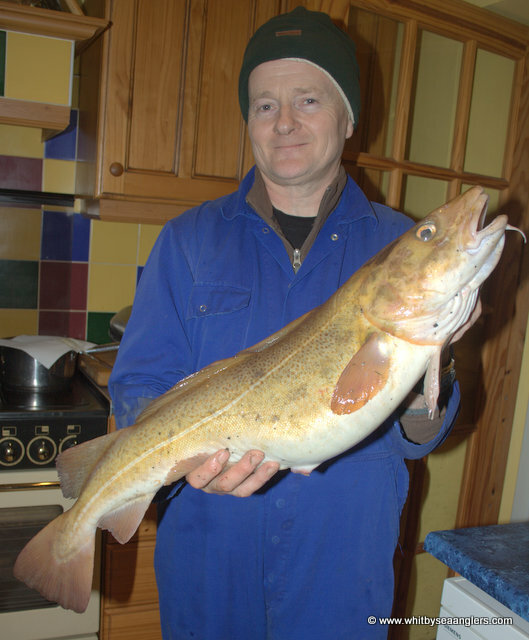 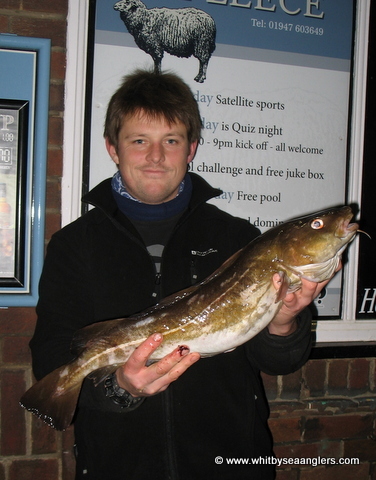 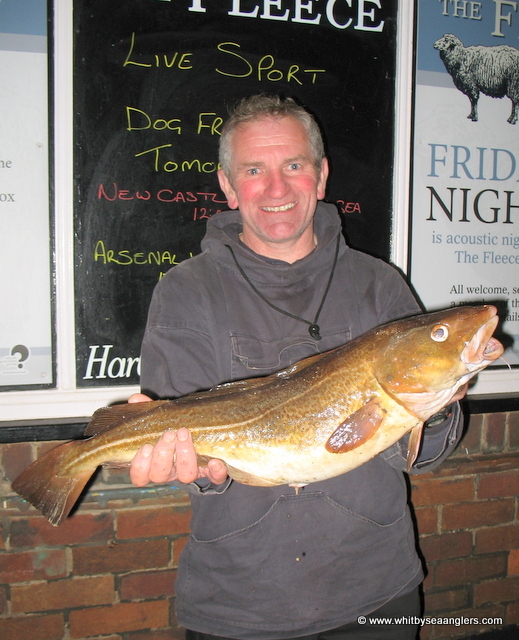 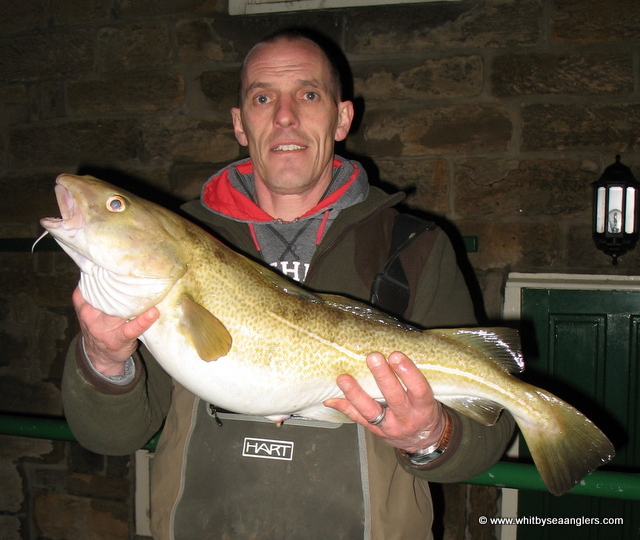 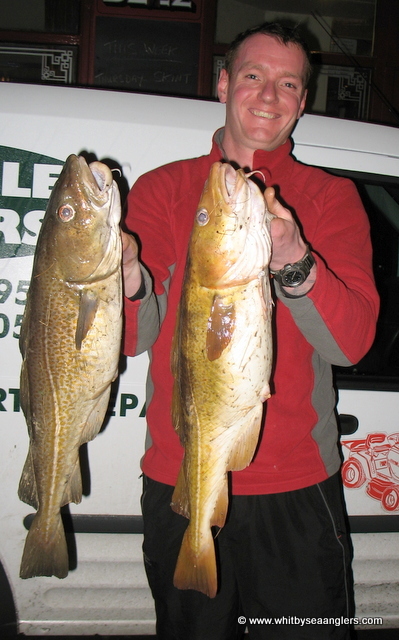 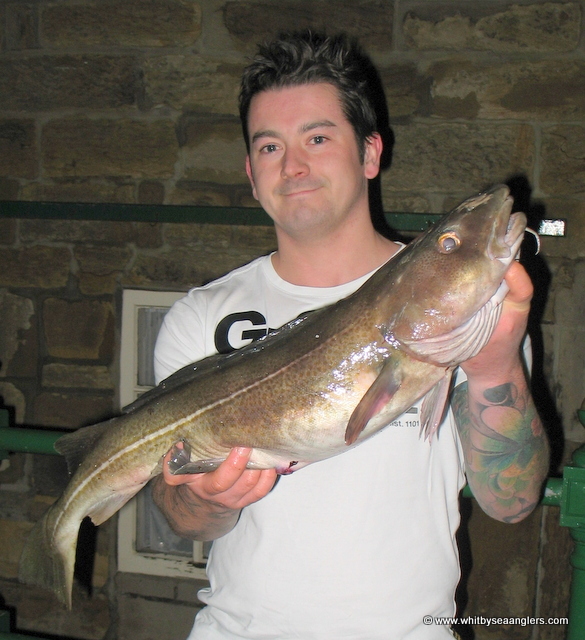 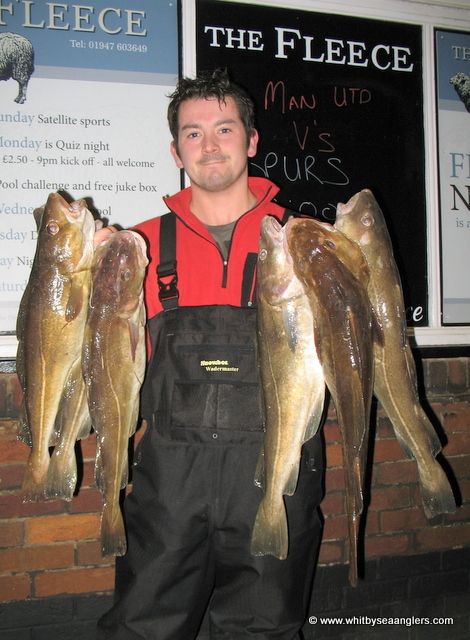 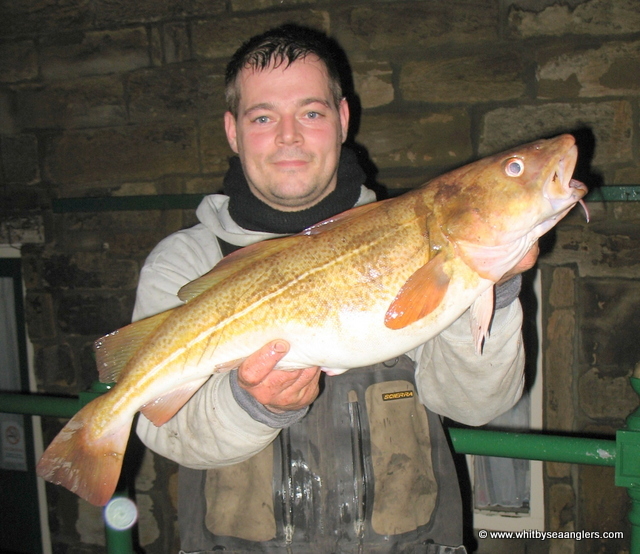 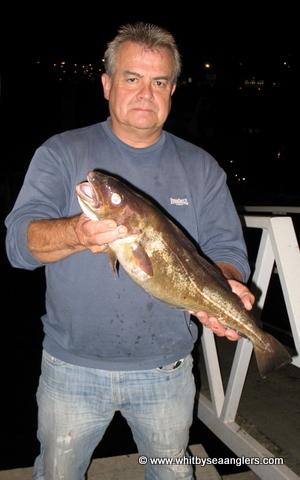 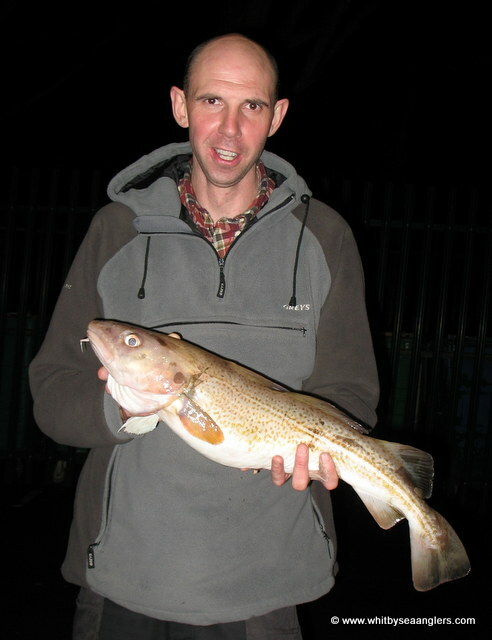 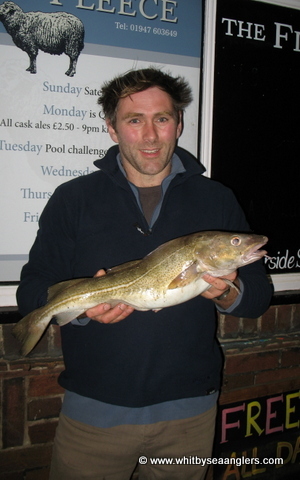 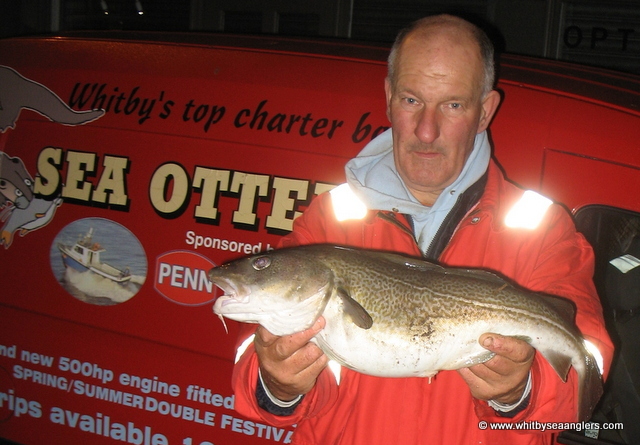 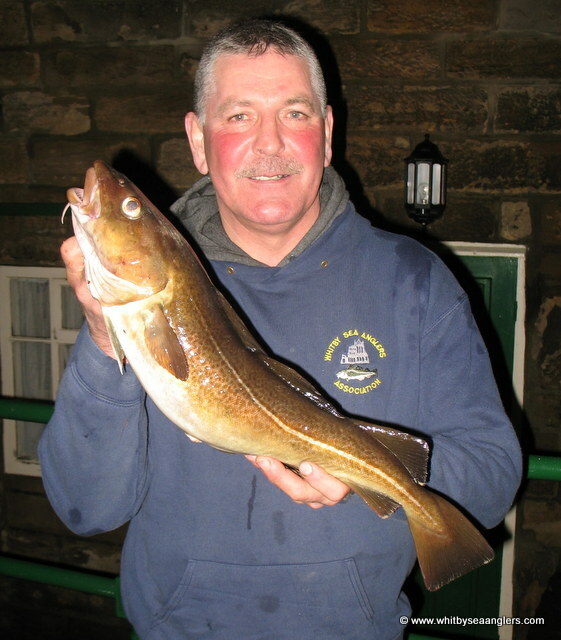 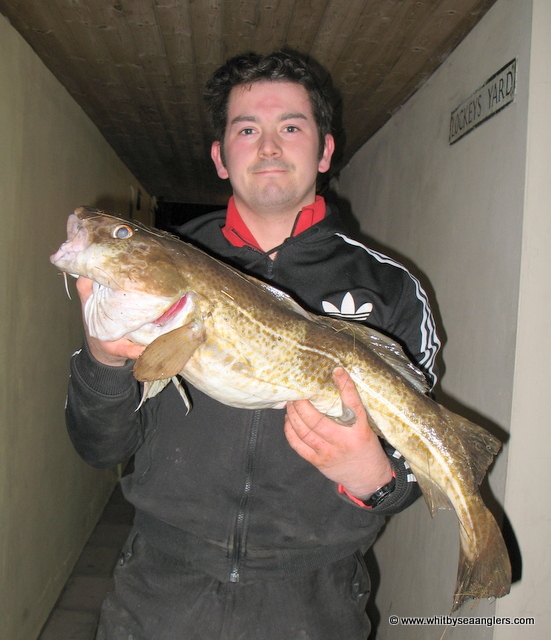 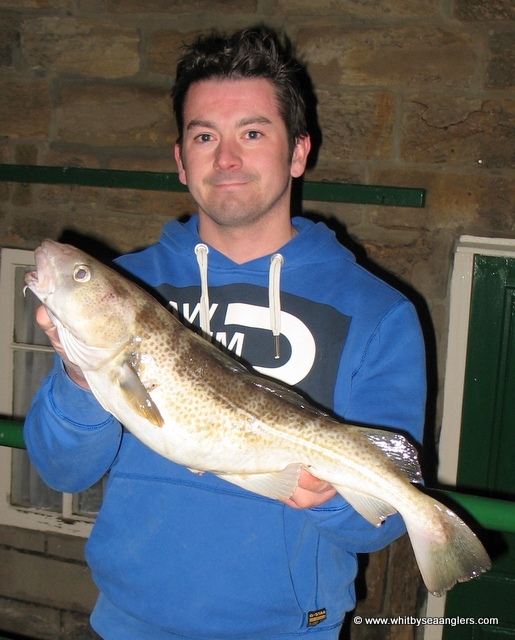 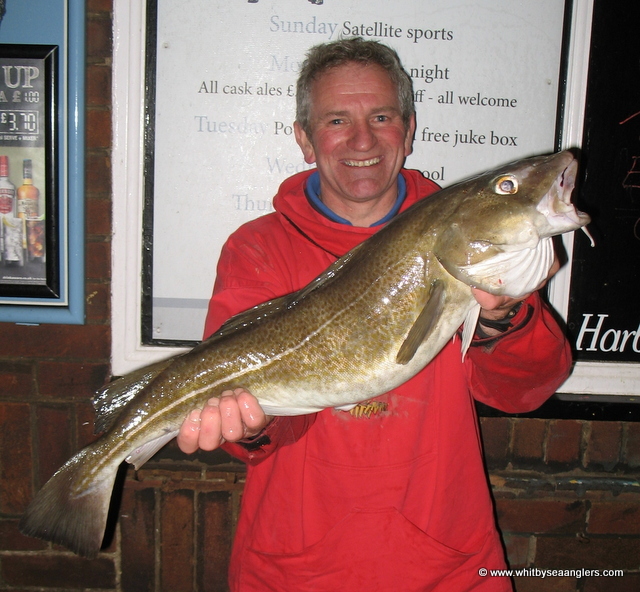 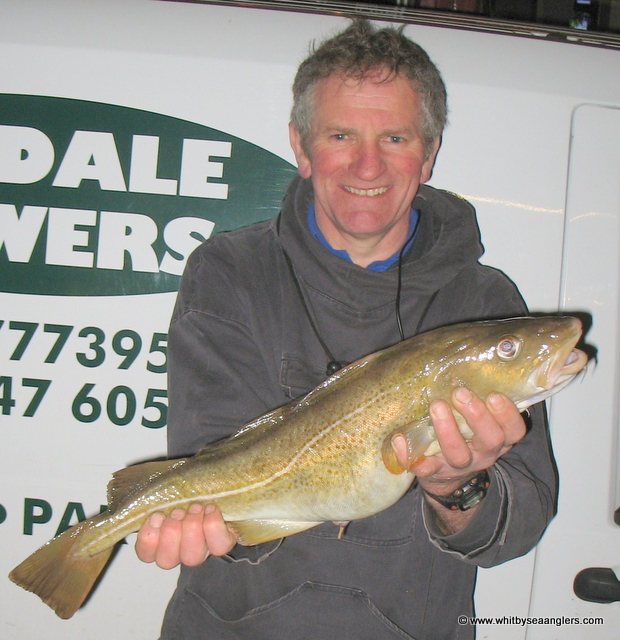 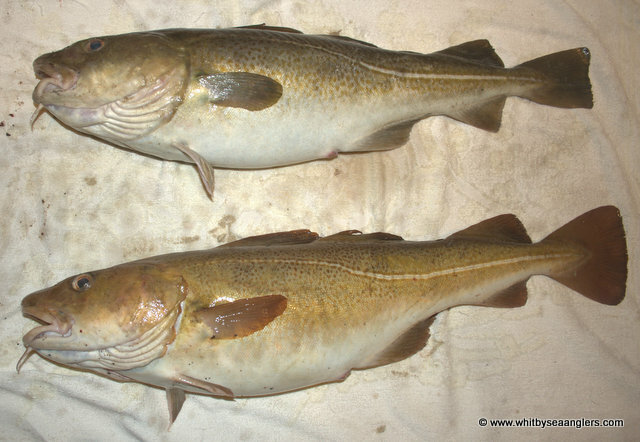 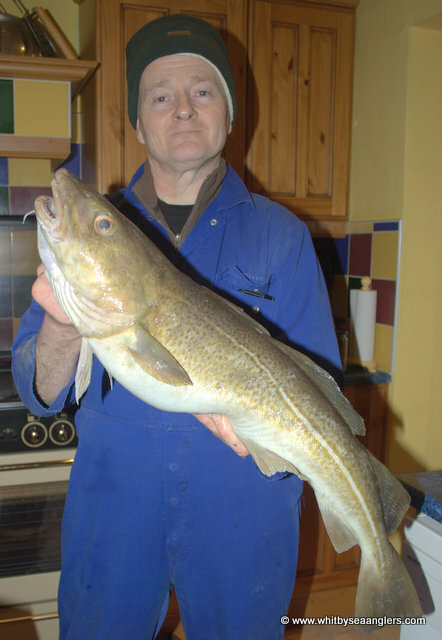 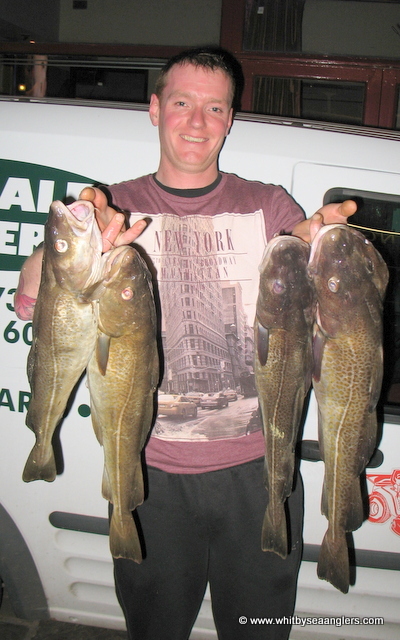 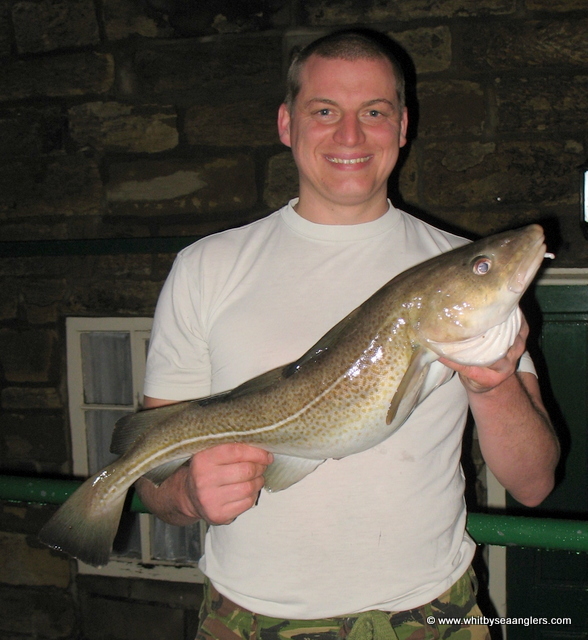 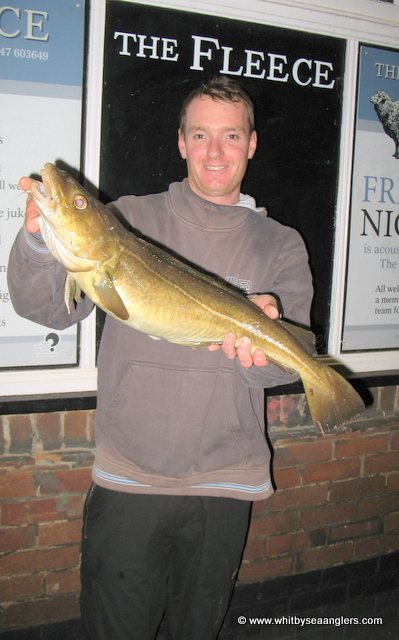 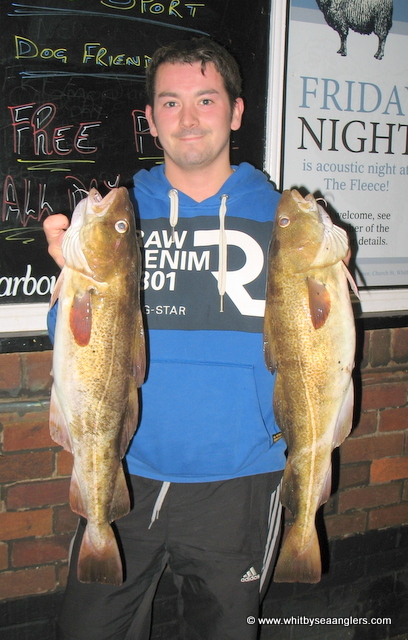 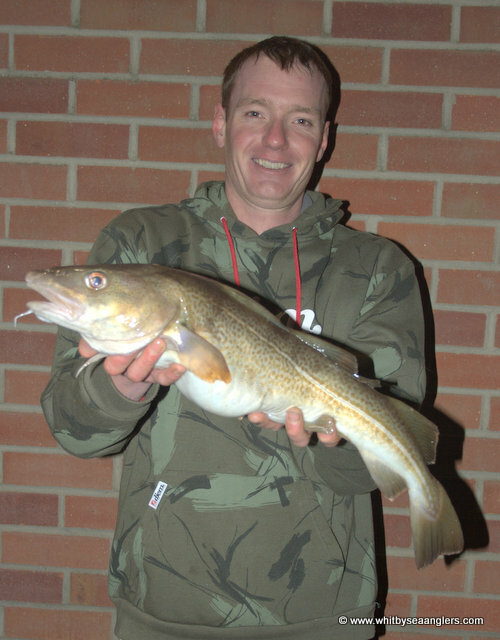 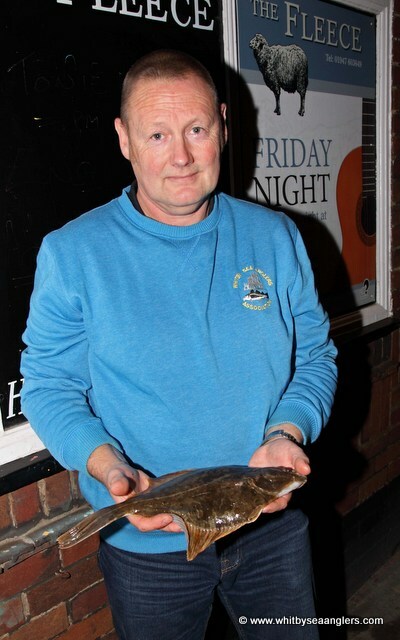 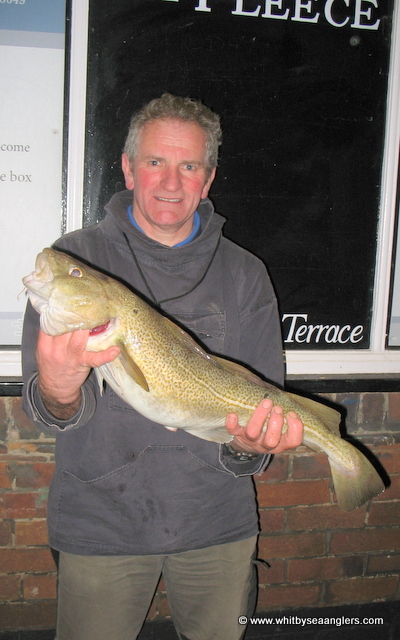 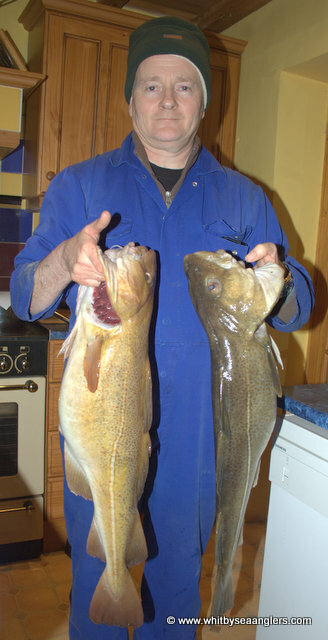 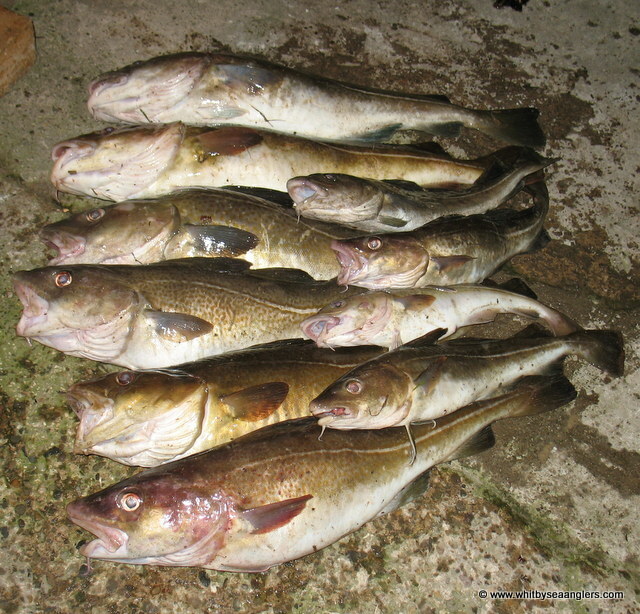 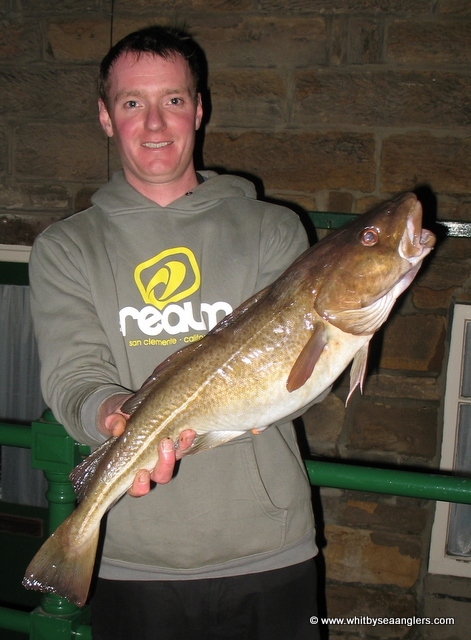 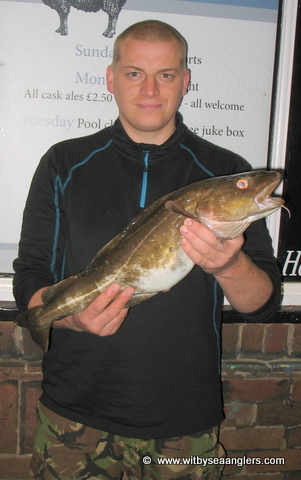 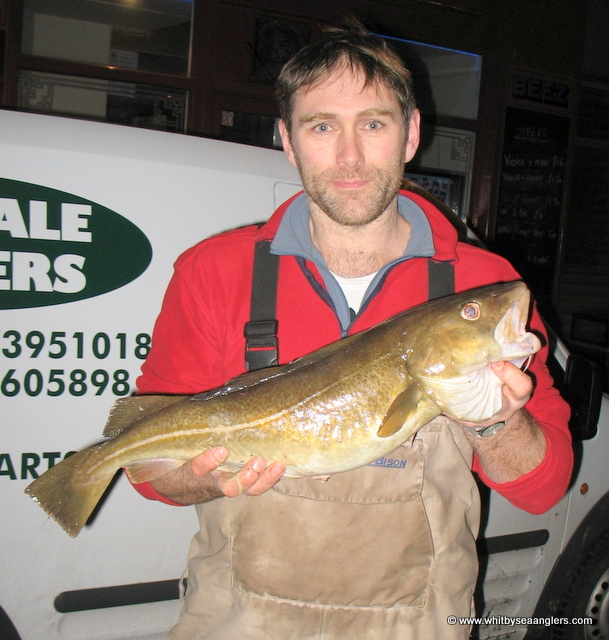 Monday 4th November 2013 - making the most of the sea state for a spot of pleasure fishing, Brian caught this fresh run cod shortly after 10pm. 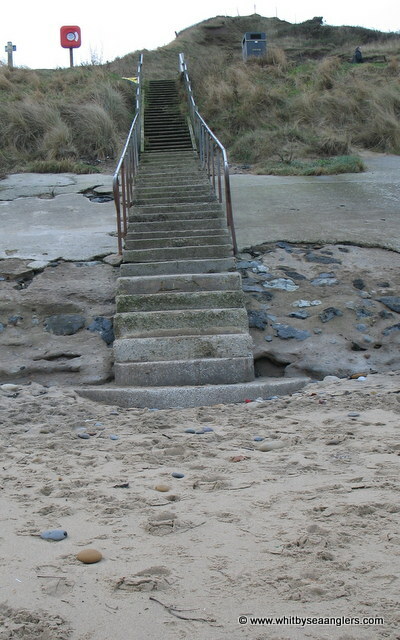 leaving access & egress hazardous. 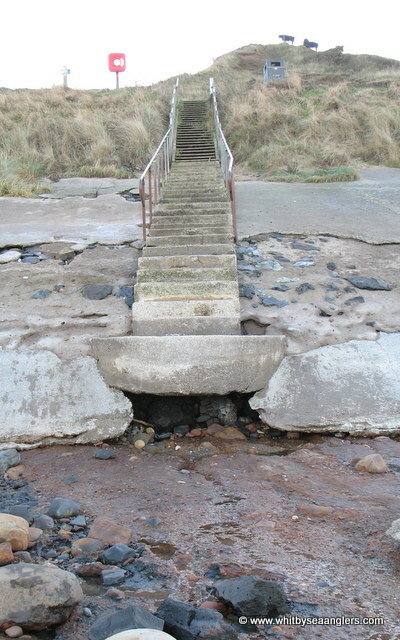 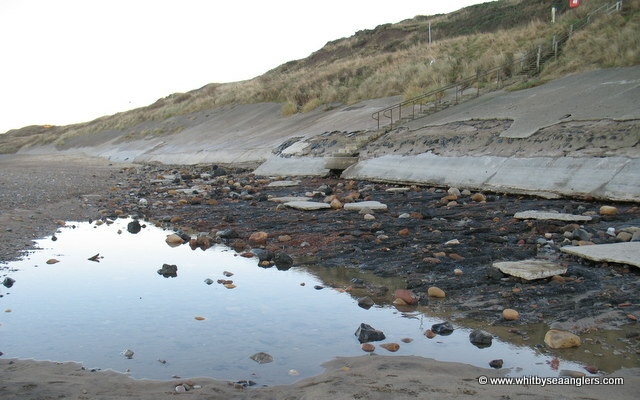 Full extent of the erosion 7/11/2013. 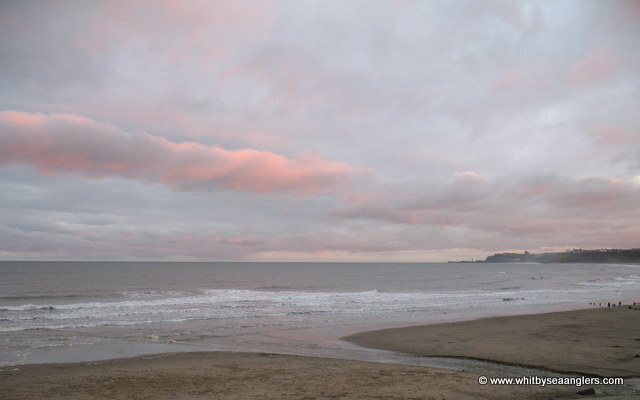 Back to normal 23rd Nov. 2013, until the next time! 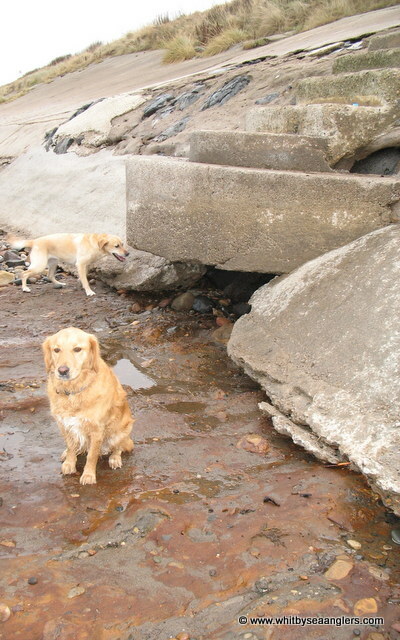 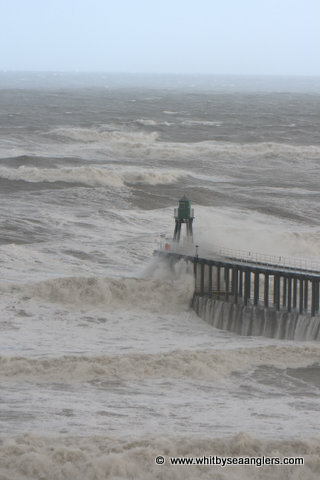 Rough seas have pulled the sand away to expose bedrock. 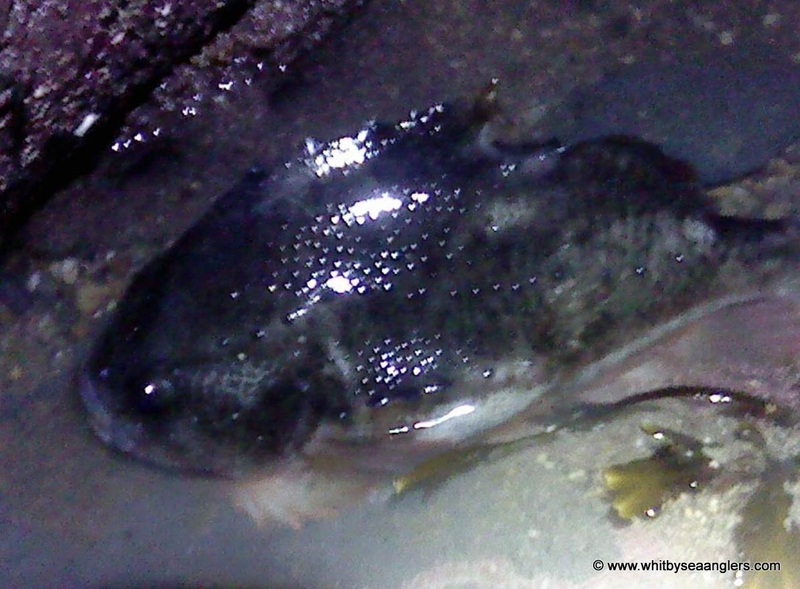 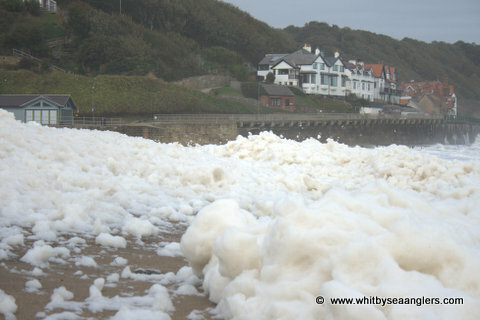 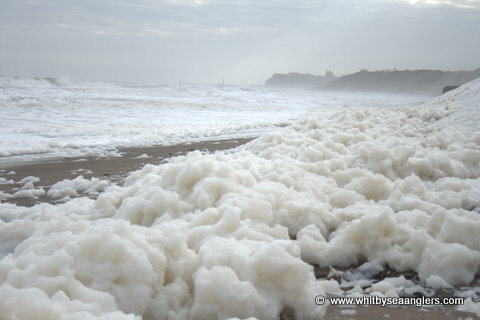 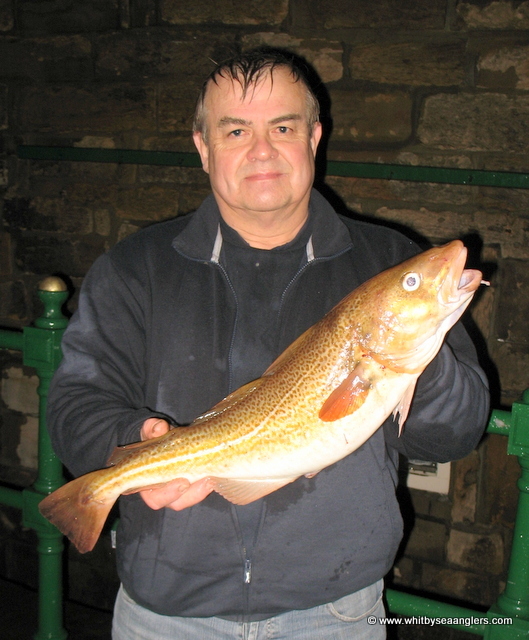 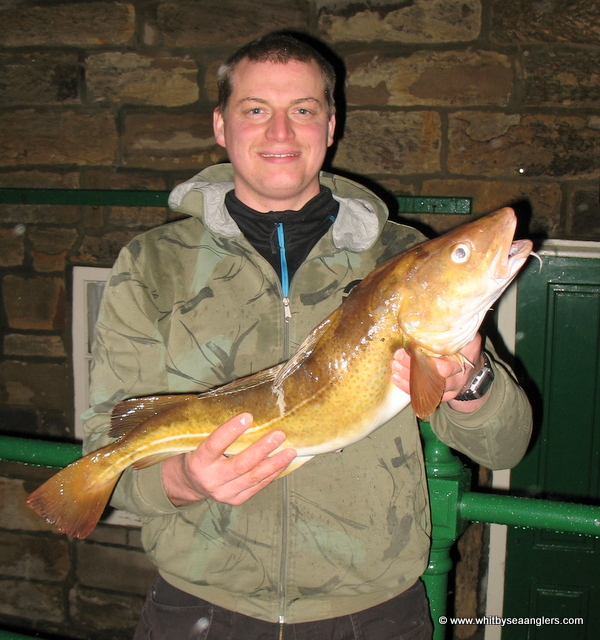 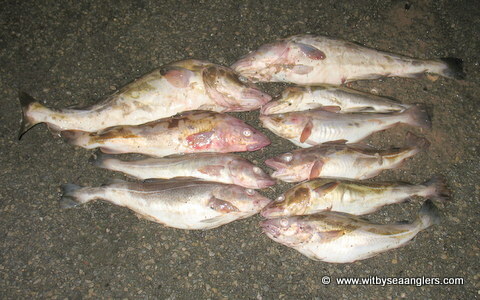 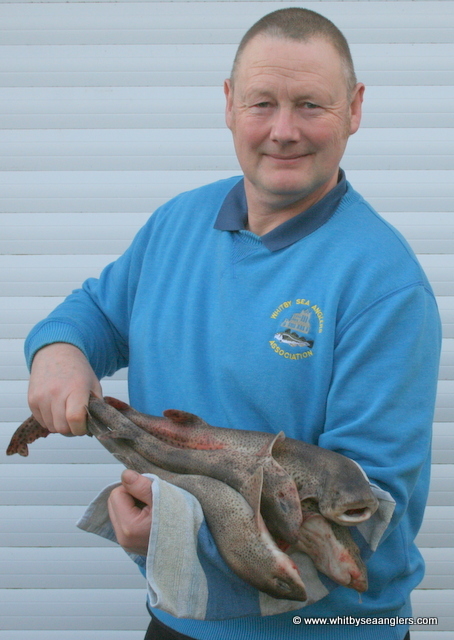 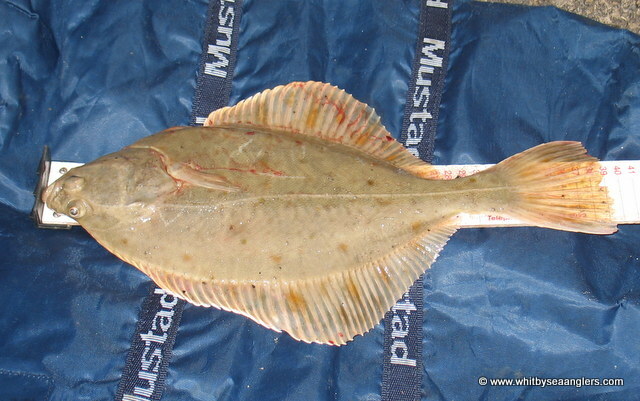 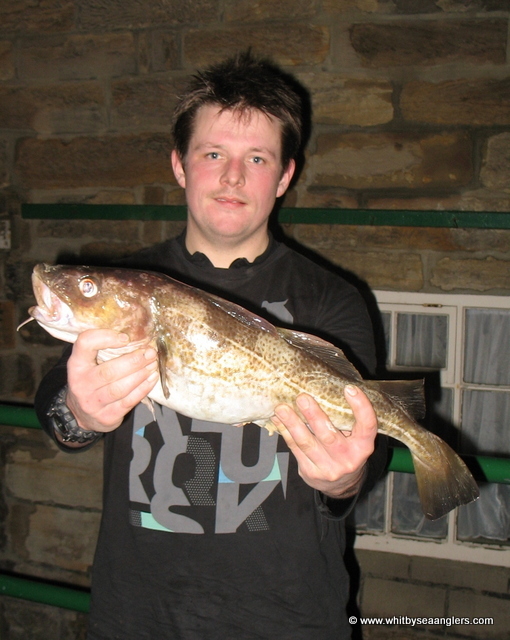 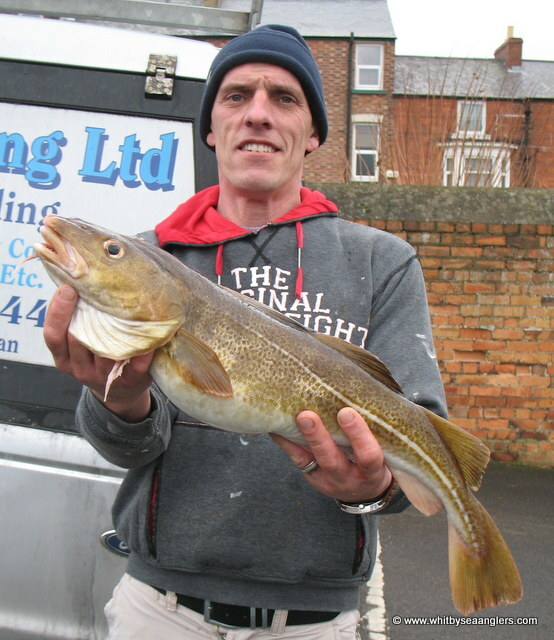 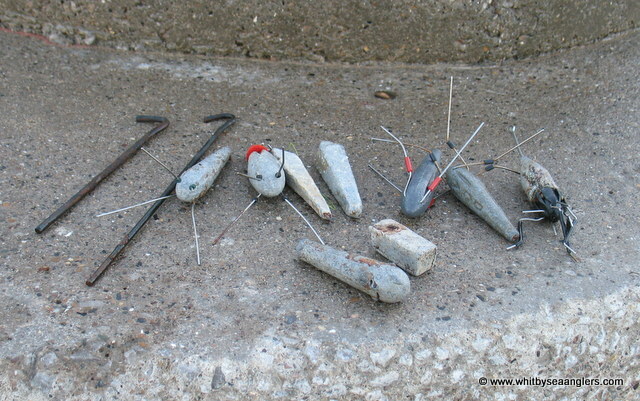 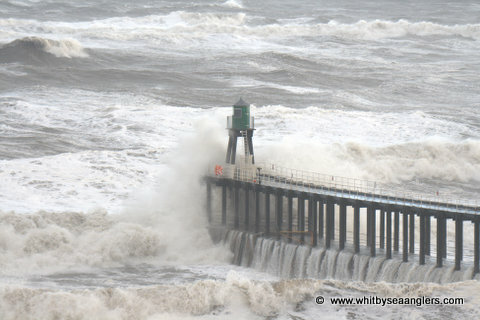 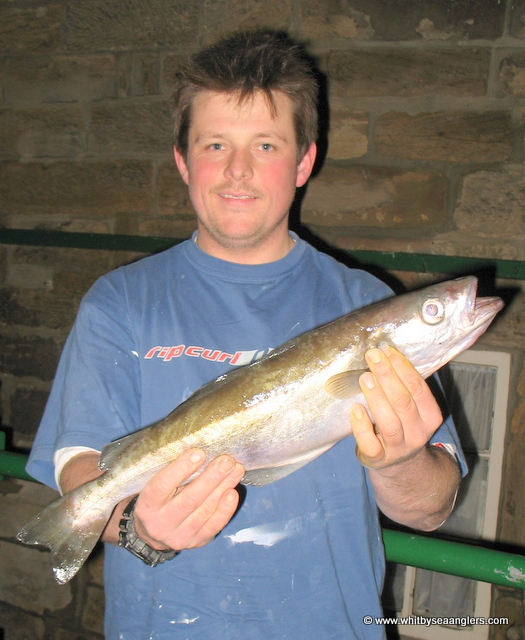 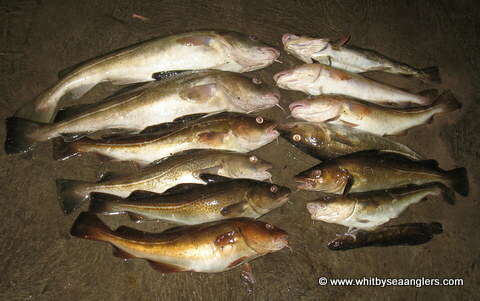 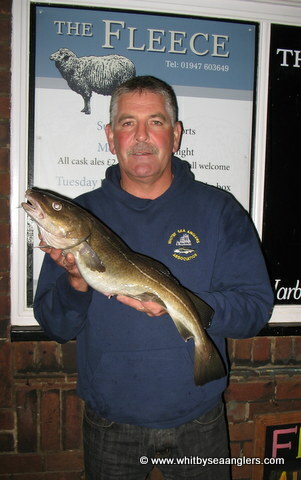 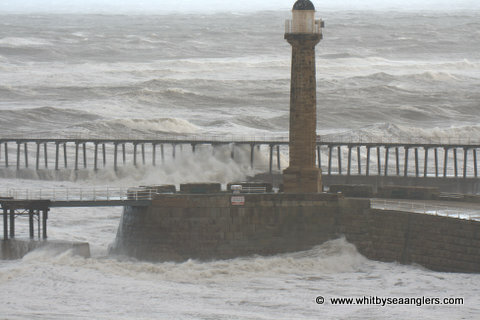 Confirmed - 9 lb 06 oz - when weighed at Whitby Seafishing Supplies by Malcolm Pitman - Sun. 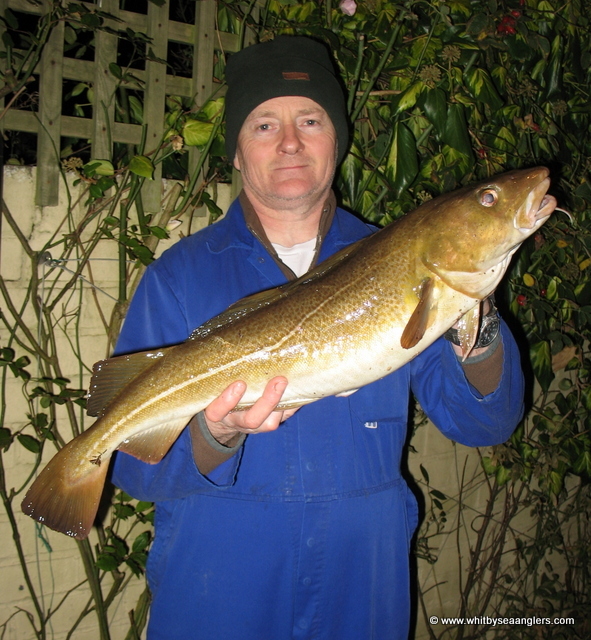 8th Dec. 2013. 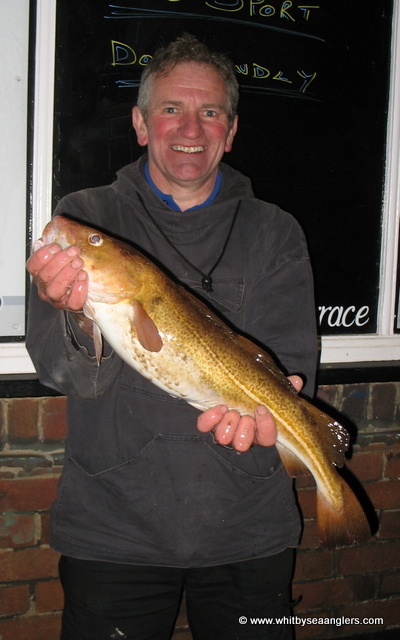 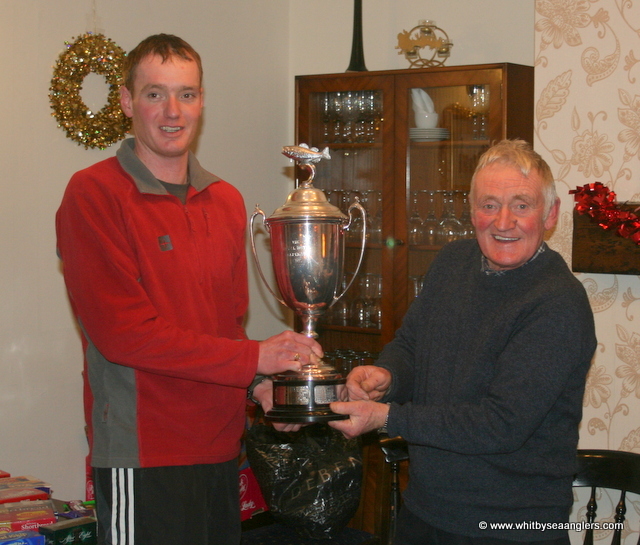 Andrew Cassy - Heaviest Fish - Help A Capital Child trophy & Chairman William Atkinson. 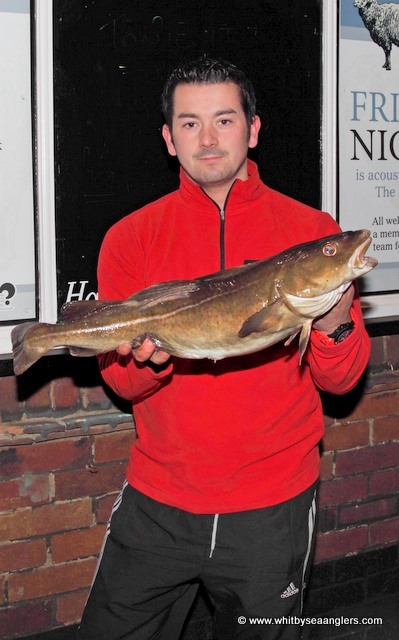 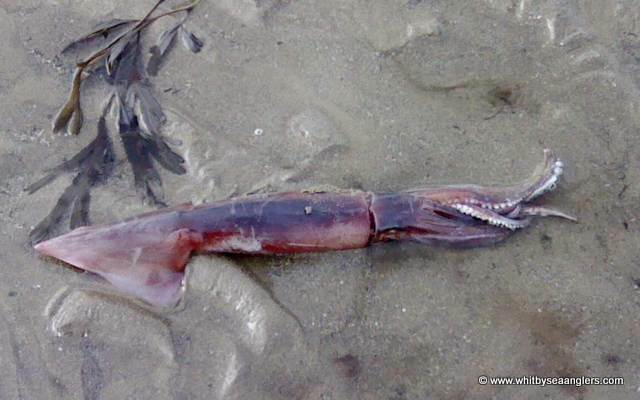 Sadly, because this specimen fish was caught outside WSAA boundaries, (Rule 20) it cannot be entered into the 'Heaviest Fish Out of Competition', competition. 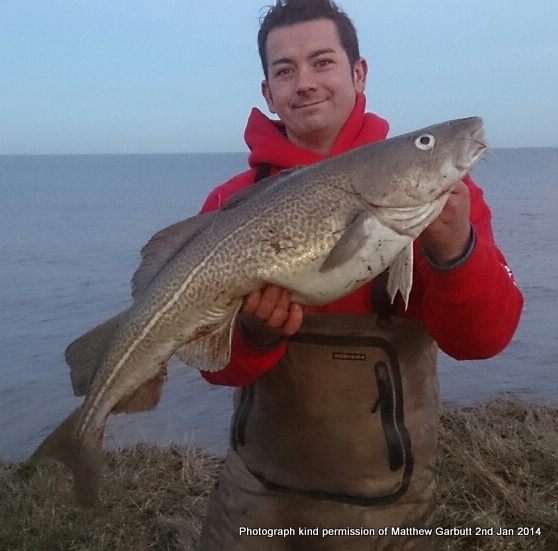 Well done Matthew. 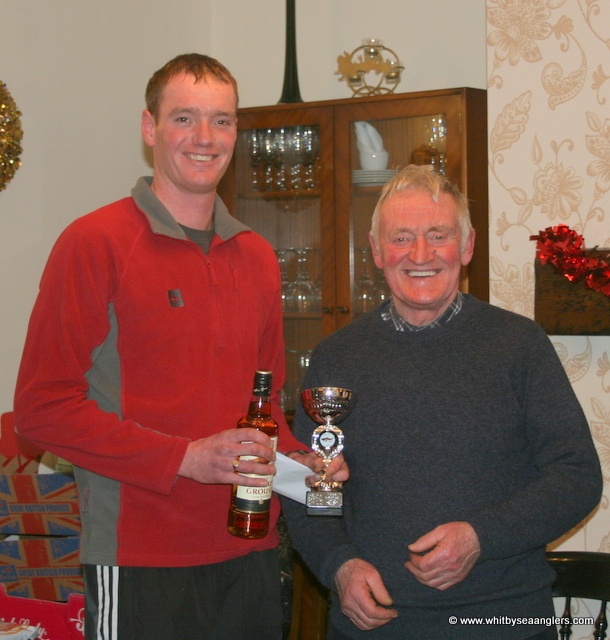 Doubles Knockout winners James 'Jamsy' Moore & WSAA Secretary Peter Horbury. 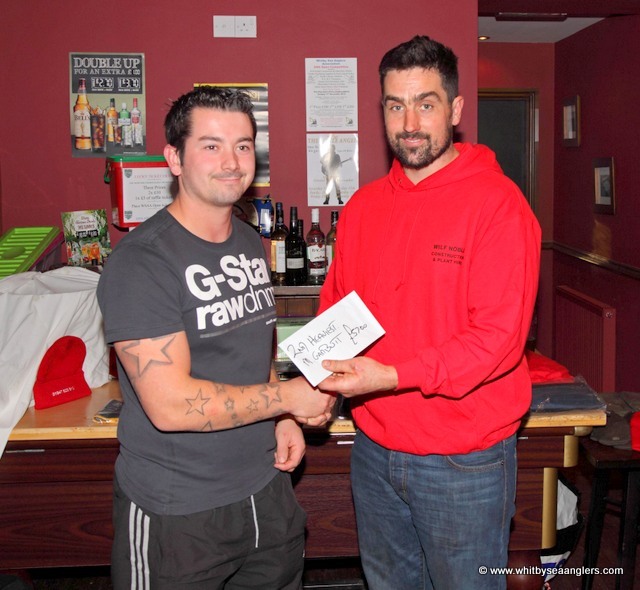 Winner of last match of the season.